La Costa de Papito Hotel | Puerto Viejo | Book Direct for Best Prices! 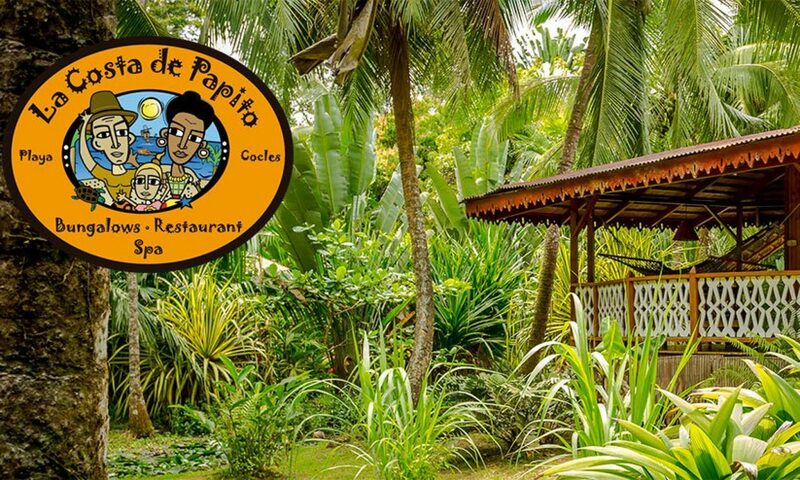 La Costa de Papito Hotel is a lush 5 acre tropical Garden of Eden one and a half kilometers to the southeast of Puerto Viejo on the South Caribbean coast of Costa Rica. 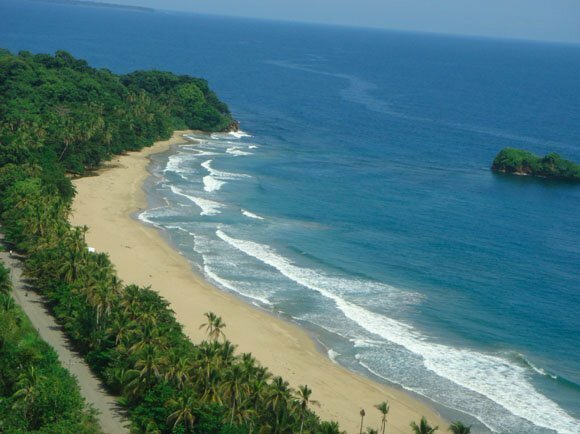 And we’re on the edge of both jungle and sea, a coconut’s throw from the gorgeous white sands of Playa Cocles with its famous beach break wave for surfers, and north of the cool, freshwater Rio Cocles. Our tropical-style bungalows each have distinctive characters, and feature comfortable hand-crafted wood furniture and patios for relaxation surrounded by tropical garden. And large windows open onto vistas of heliconias, bromeliads, coconut palms, gingers and tropical fruit trees. Enjoy a wealth of butterflies, birds, iguanas, docile sloths and monkeys on the grounds And free wifi so you have the option to stay connected. We’ve been offering the same warm, authentic Caribbean hospitality experience for decades, and we’re constantly updating to suit the modern traveler’s taste. Those decades of happy guests and memorable experiences have helped place Puerto Viejo and the Caribbean coast on all those lists of must-visit travel destinations you’ve no doubt seen. So come visit us at one of the true originals of the area, Hotel La Costa de Papito. We are La Costa de Papito. We are experience provokers! We don’t want to rent you a room. We want to provide you with an experience. Travel is more than the seeing of sights, it is a change that goes on, deep and permanent, in the ideas of living. All journeys have secret destinations of which the traveler is unaware. You’ll find the perfect choice for your accommodations in our collection of 8 different bungalows , each with it’s own individual character and amenities. We offer a warm Caribbean Welcome for Nacionales y Residentes and repeat visitors, a discount of 12% for nationals and residents and VIP card discount of 16% after your second visit. We’ll keep you nourished both body and soul, from our famous breakfast buffets and romantic dinners in our Que Rico Papito Restaurant, to the full menu of spa and beauty treatments in the Indulgence Spa and Beauty Salon. The pace and style of life away from the activity of town, is Puro Relax with limitless opportunities for adventure right outside your door. And it’s the perfect spot for your idyllic romantic hideaway vacation, as well as a great place for your next family vacation. Our beach is a perennial winner of the Costa Rican government’s Bandera Azul Ecológica, awarded to the country’s most pristine beaches. The lifeguard program administered by La Costa de Papito makes it the only lifeguard protected beach on the Caribbean coast. Our community is almost certainly the most culturally diverse in Costa Rica, with Afro-Caribbean and Bribri indigenous roots blended with other Costa Rican regional cultures and melding with permanent residents from around 50 countries. Take a surf lesson in the warm waters of the Caribbean Sea with your host Ryan Castillo Family. Safe: As cherished guests in our hotel know that you are with family and you will be taken care of accordingly. Fun: We will quiet any fears or anxiety and stimulate you with the challenge at hand. Laughter is encouraged. Tried and True: Your experienced instructors are skilled surfers who will train you to stand up on the board and actually surf a wave! We use special longboard training boards. English, Spanish, Italian spoken. Whether you’re looking for an exciting day out with the family, or something a bit more on the romantic side, let us help you plan your perfect adventures and tours. You’ve made a very good decision. The warm blue sea, the balmy coconut palms, the pristine white sand beaches, the afro-caribbean inhabitants, sensual rhythms and exotic dishes are equivalent to what one experiences on the tropical Caribbean Islands. You are considering La Costa de Papito for your wedding reception. For your wedding ceremony. As your host hotel. For flowers, decoration, music, photography, hair and makeup, bouquets, all the details that are important to you. Another very good decision. We have eight years of experience producing weddings. From the bare minimum two people to a medium size forty person affair to a large 90 person event. With practice comes proficiency. Count on personalized creativity, impeccable service and that human touch.